Every behavior a person carries out—from speaking a sentence to swatting a fly—is dictated by the brain, working at lightning speed to analyze the world and respond to sights, smells and sounds. How does the brain accomplish this? How does it combine all these pieces of information? Researchers want to know how a healthy brain works so they can better understand what’s different in the brains of people with diseases, from autism to depression. But it’s a daunting question: the human brain contains more than 86 billion neurons and studies of patients have failed to turn up obvious changes to these cells that could lead to disease. 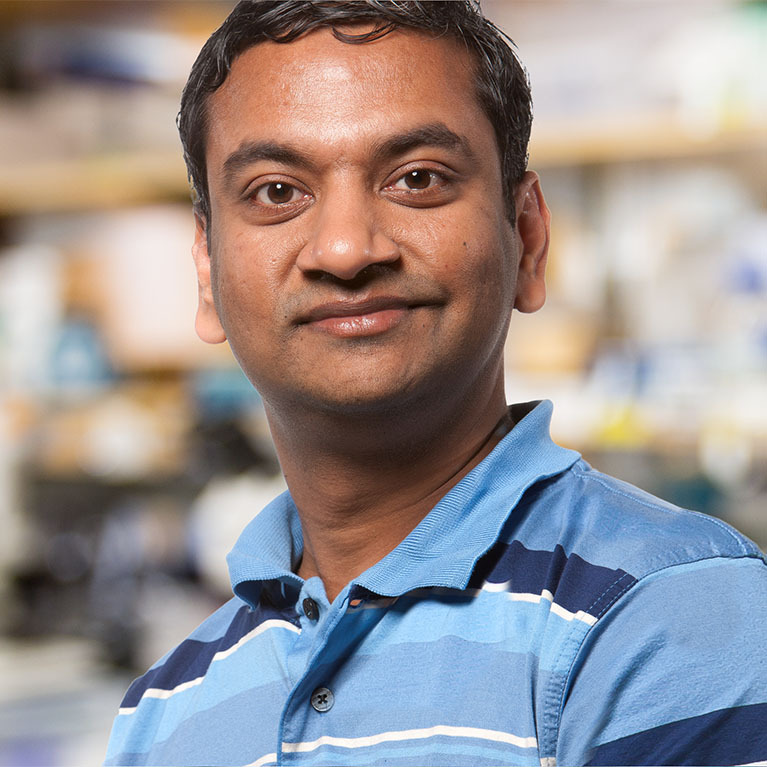 Sreekanth Chalasani uses an organism with a much simpler nervous system than humans to answer questions about neuroscience: the roundworm Caenorhabditis elegans. 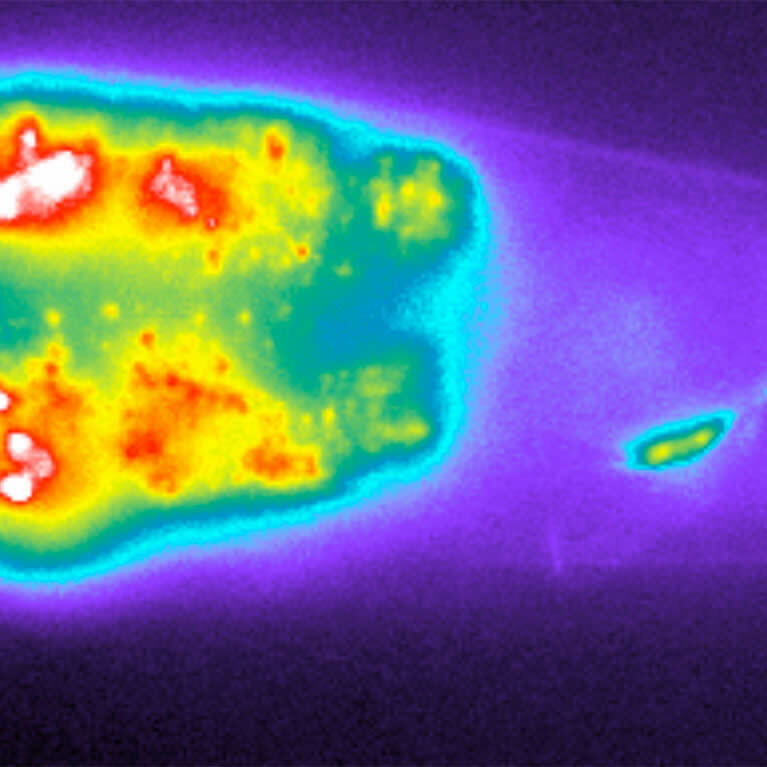 This animal has only 302 neurons and a few thousand connections between these cells. Each neuron is mapped and named, making it easier to study the effect of environment or gene changes at the resolution of individual cells. 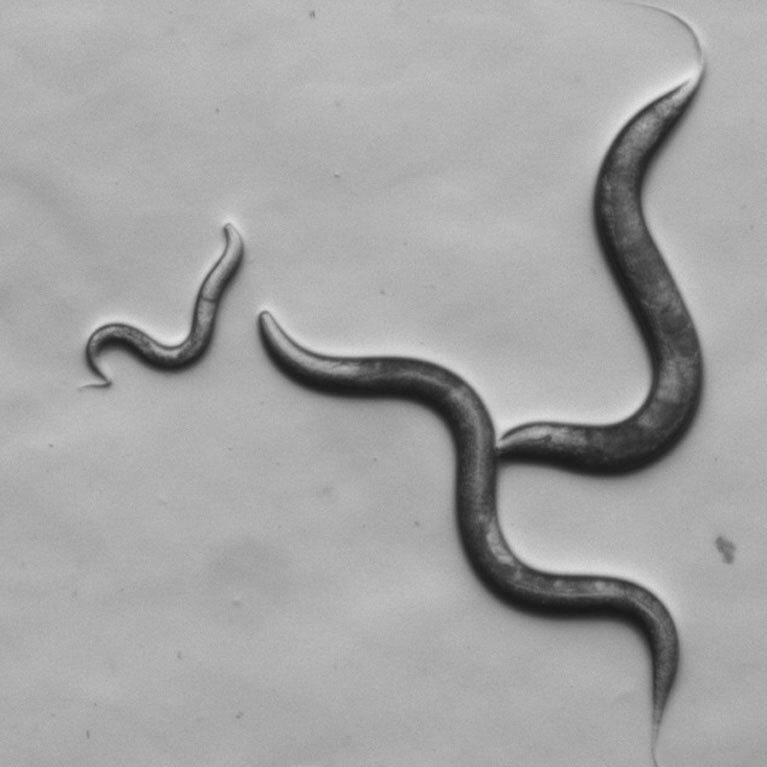 But despite its simplicity, the C. elegans nervous system has commonalities with a human brain: if you give a worm a dose of the antidepressant Prozac, for example, it becomes less fearful of predators; and if you mutate a gene linked to autism in humans, the worm shows less interest in other worms. 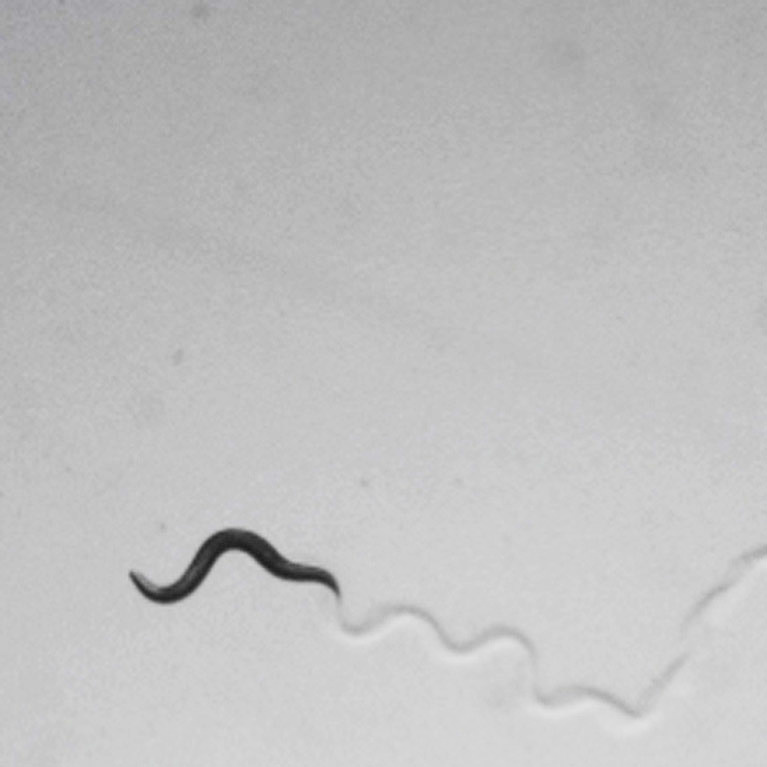 Among other studies, Chalasani’s lab is asking how the roundworm nervous system, one of the simplest in nature, gives rise to such behaviors as fear and aggression. He is exploring what these tiny creatures can tell us about human aggressions and fears, emotions and behaviors often necessary for our survival, but which are also sources of great suffering. The worm’s simple nervous system makes it useful for studying human diseases—and testing drugs—in a well-understood model. 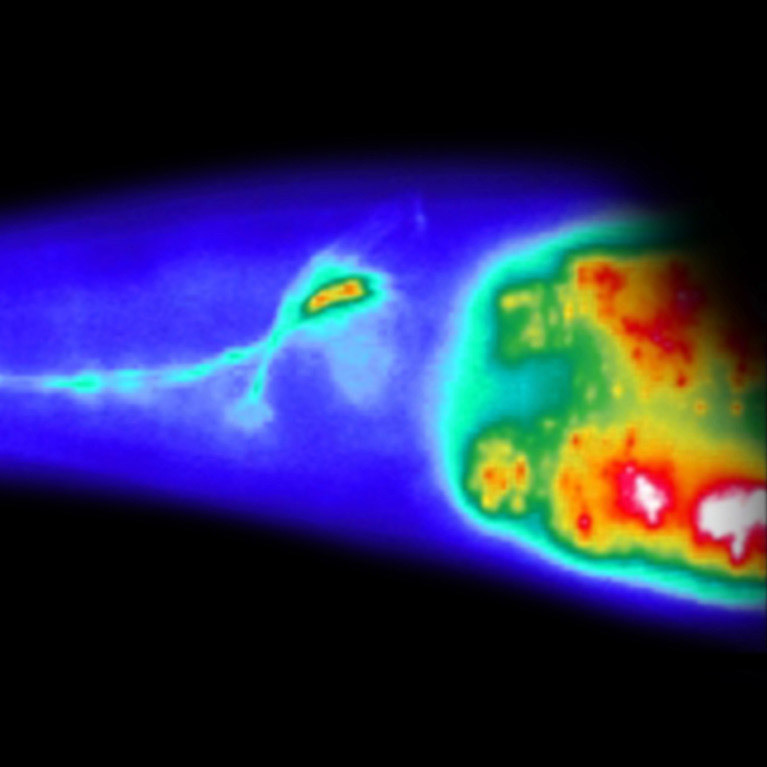 Chalasani used salt-sniffing roundworms to help explain how the nervous system processes sensory information, discovering that insulin plays a role in mediating worms’ perceptions and behaviors. He also discovered that there was more than one type of neuron involved in processing sensory cues that researchers had previously thought were only sensed by single neurons. 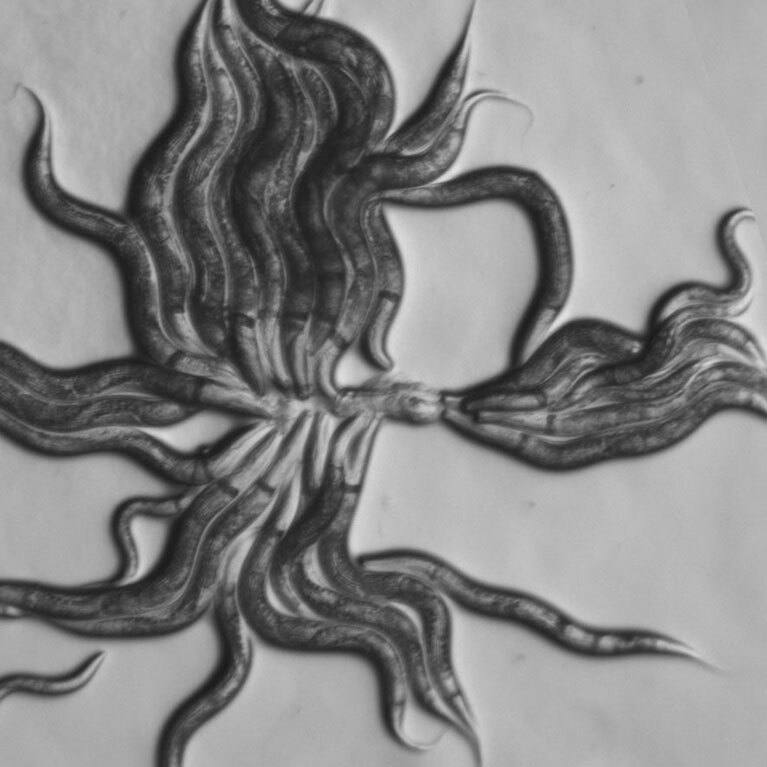 He is currently studying the relationship between the C. elegans roundworm and a predator worm, P. pacificus, to explore how the nervous system gives rise to behaviors such as anxiety and aggression.